Look simple, sober yet stylish wearing this white georgette pant stlye suit. 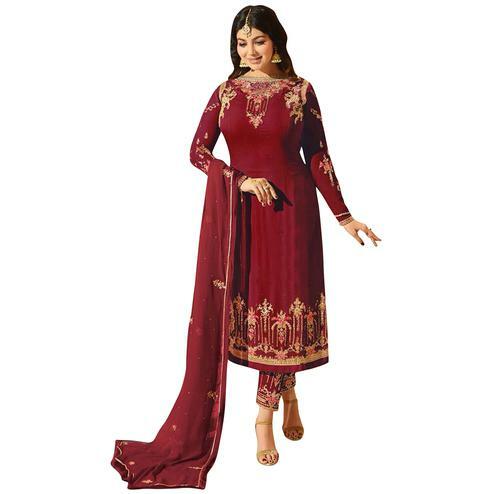 Its attractive embroidery & lace border work over the kameez makes this suit your ideal choice. 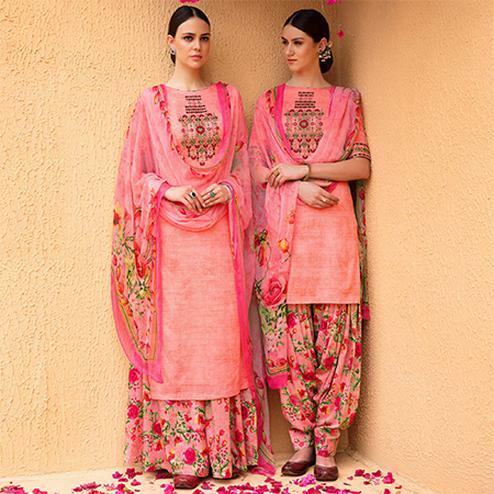 This outfit comes along with santoon lining & santoon embroidered bottom with chiffon dupatta. It's a perfect pick to upgrade your wardrobe for parties, functions & occasions. Team it with fashionable ethnic accessories to look more outstanding. Grab this indo western suit now as it's rare to find.